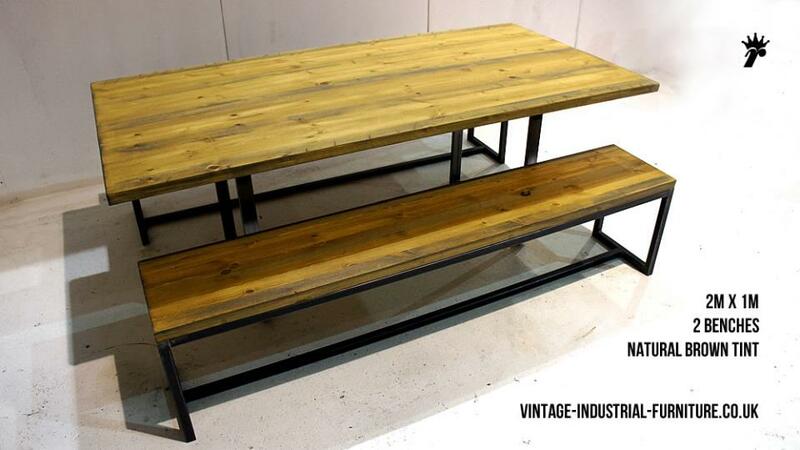 The vintage industrial Grafik bench has a strong wooden top mounted on a self-colour welded steel frame. The horizontal components of the structure emphasis the linearity of the form. 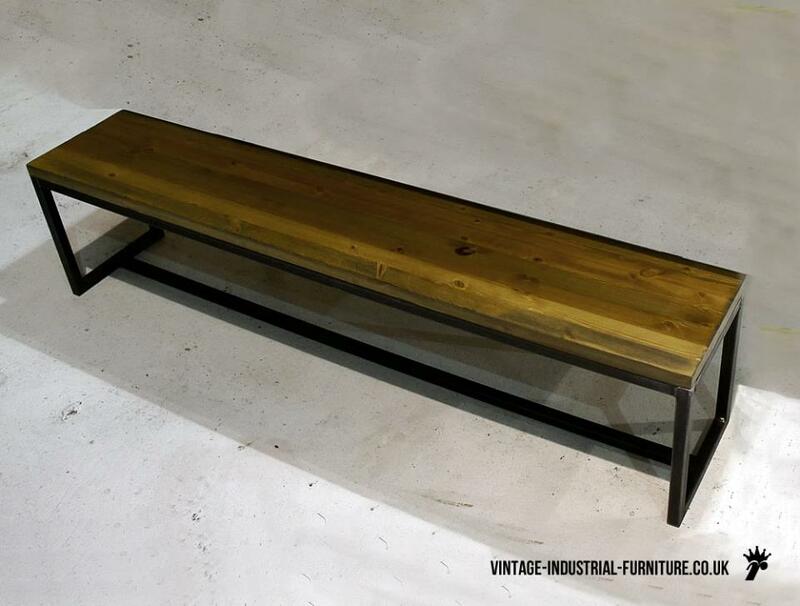 This is combined with the connected legs to create a piece which looks fresh from the designer's sketch pad. 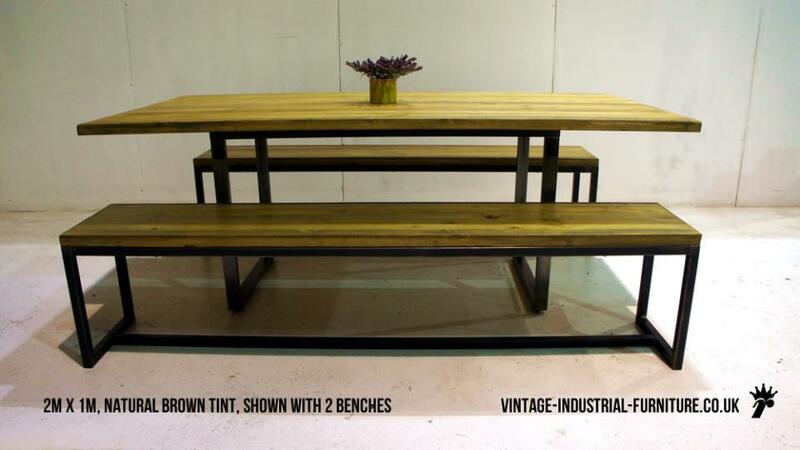 The association of this and the characterful, aged seating surface allows the vintage industrial Grafik bench to seamlessly fit into a contemporary space without shouting "I'm brand new!". 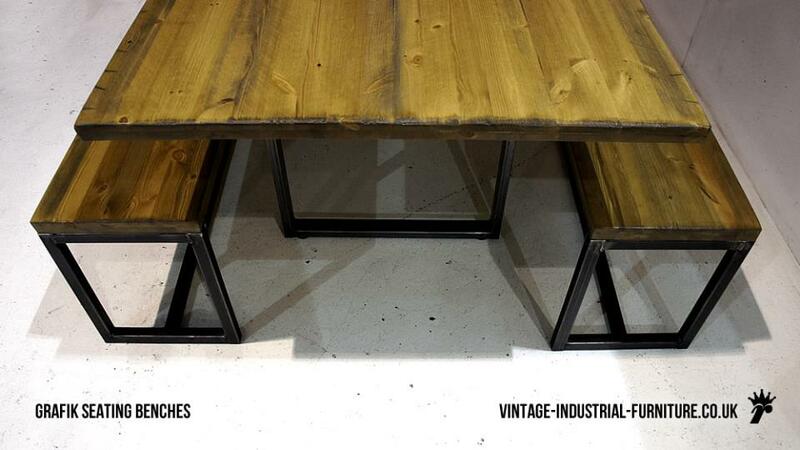 Some of the images show the piece with our industrial loop leg table. 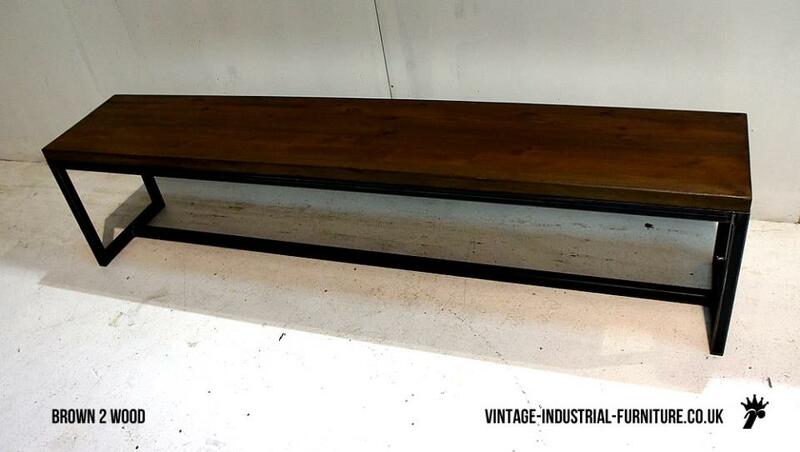 The vintage industrial Grafik bench is available in the lengths shown below. All are 45cm high, 35cm wide. As standard the frame is grey, self-colour steel. The top is available in brown 1, brown 2, clear or "natural brown tint". Please specify the colour required in the checkout message box.